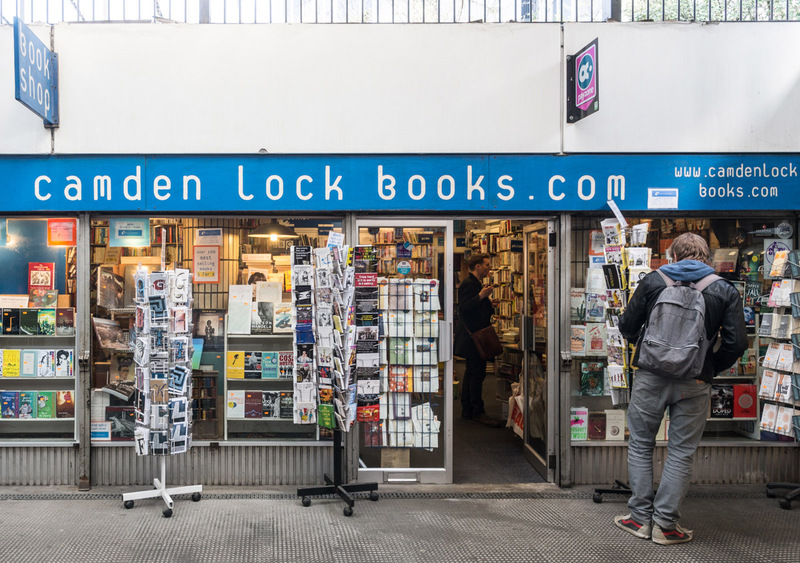 Camden Lock Books is easy to find, except for the fact that it is not in Camden. 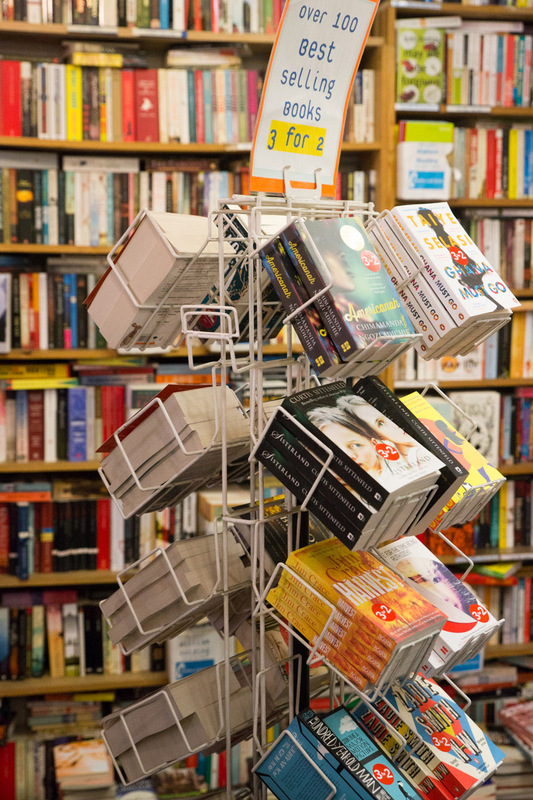 It’s the only independent bookshop to be situated in a London Underground station. Travel to Old Street by tube and you’ll have no difficulty finding it after passing through the ticket barrier. 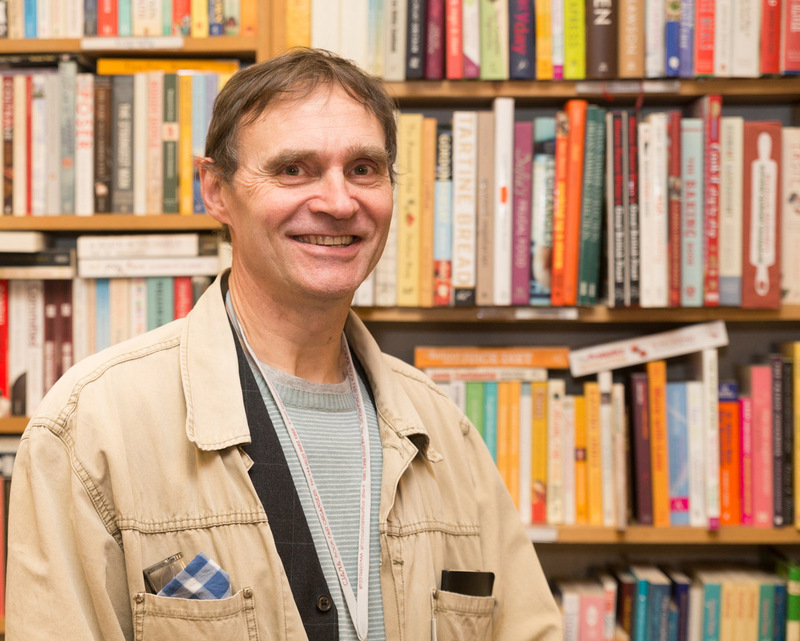 Jason Burley, the owner, is a true bibliophile with a lifetime’s experience in the book trade. His first stint of bookselling was at Francis Edwards, 84 Marylebone High Street until 1982, and at weekends he managed a stall on the Portobello Road [1982-4], where he specialised in antique travel books. During his free time he plied his trade as a ‘runner’ for the pre-internet second-hand book market. He would get on a coach to somewhere like York early in the morning with an empty shopping trolley, spend his day visiting various second-hand bookshops, and, using his already keen knowledge of the trade, select various underpriced titles, which he would return to London with and sell at profit, either through his own weekend stall or at various venues in the city, particularly Joseph’s old premises at 48a Charing Cross Road owned by Reg Read and Simon Judd. He was also a regular attendee at the main second-hand book fairs, particularly those held at Russell Hotel, and became Chair of the London Region of the Provincial Booksellers Fairs Association, a position he held for four years. The current business began thirty years ago, in 1984, when he opened a second-hand bookshop in Camden Lock Market, and named it Lot 49 Books, a homage to Thomas Pynchon. At one point he was running three shops, including one on the South Bank. But towards the end of the 1990s he could see the impact the internet was having on the second-hand book market. There was no need, for example, for the kind of travel-discovery of sought-after titles that he had done as a ‘runner’. Gradually he moved into the selling of new books alongside old and antiquarian, a model of book-selling which he says always used to be the way of the book trade, until the likes of Borders came along and taught book buyers to expect nothing other than the spanking new. 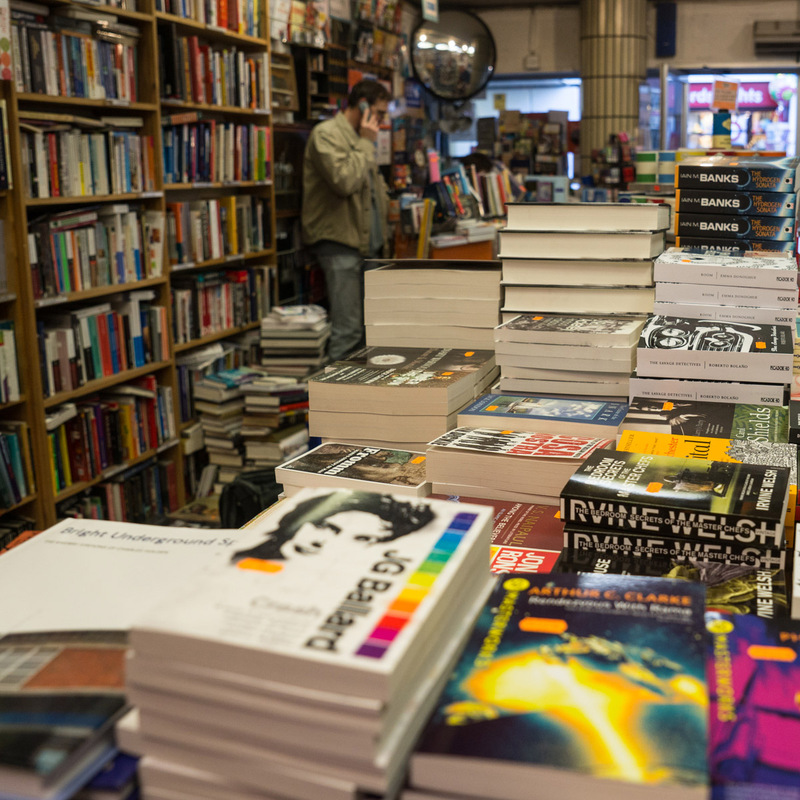 “When everyone’s zigging, I like to zag,” he says, and sounds quite pleased that his mix of selling both new and old books side by side is once again becoming more fashionable in the independent book trade. The three-shop business amalgamated and moved into its current premises in 2002. Although the station entrance was shabby (some sprucing up is finally scheduled in the near future), quite a smart cafe/restaurant had recently opened just opposite and Burley reckoned, accurately as it has turned out, that in addition to the passing footfall of tube travellers, people using the cafe would be likely to pop in to the bookshop on their way in to have a coffee, or on their way out after eating. At the time of opening the shop the Burleys’ home in Stoke Newington was undergoing radical structural underpinning which required the complete removal and replacement of the floorboards in the house. Hence, all the bookshelves in the shop are constructed out of these boards. The area around Old Street has altered a great deal in the last decade and is now referred to as Tech City, or Silicon Roundabout. 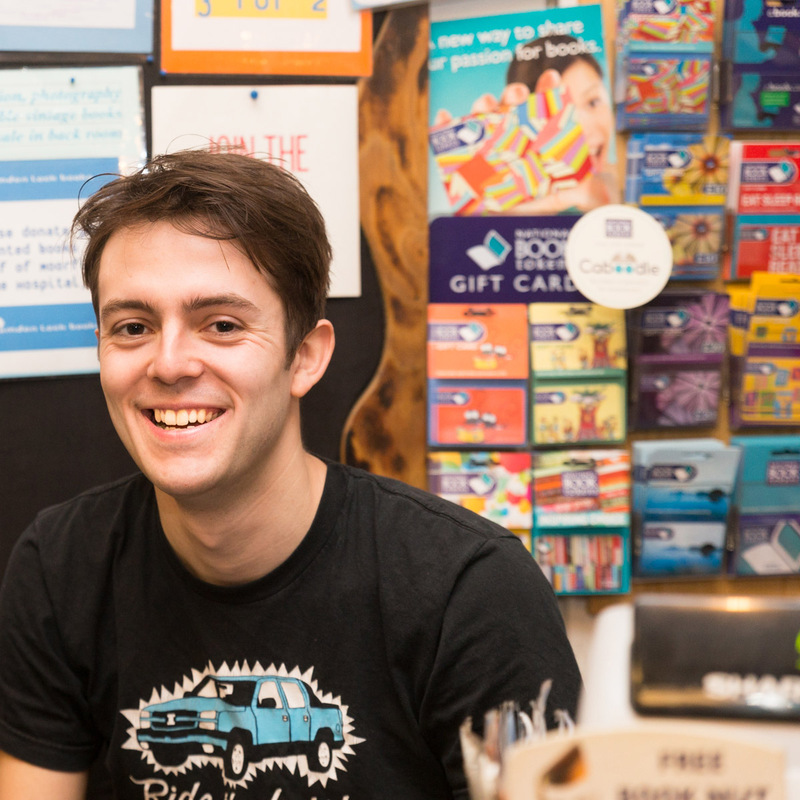 The shop’s new blog is titled The Bookseller of Silicon Roundabout, and is contributed to by Jason’s assistants Sam and Jake (pictured below) as well as by Burley himself, who has been posting about Transport for London’s plans to redevelop the station – far-reaching plans that go well beyond concourse rejuvenation, and which he believes will be many years in planning and preparation. 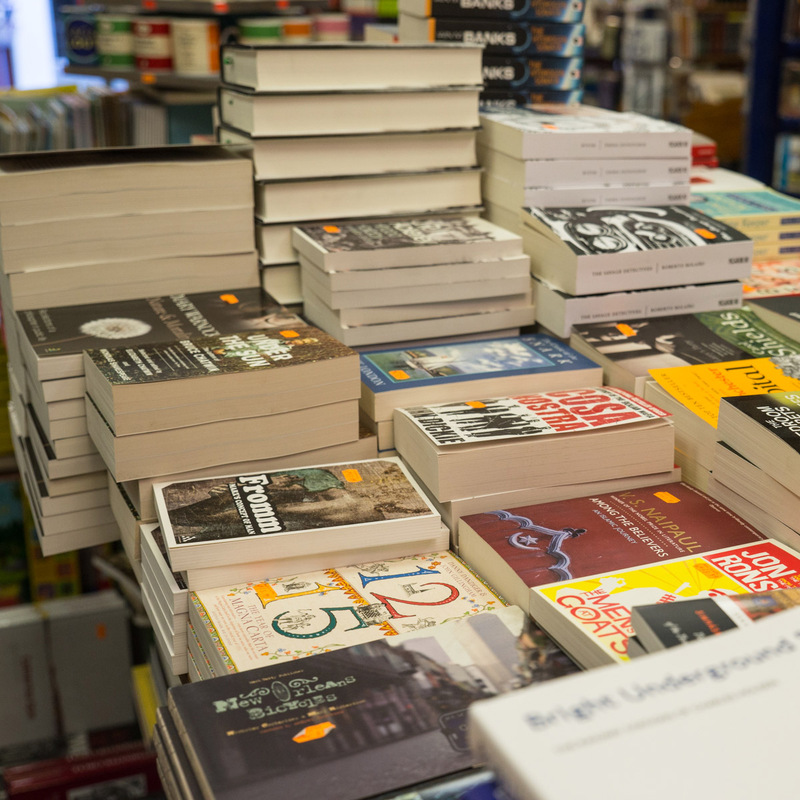 The shop also offers 3 for 2 on the 50 bestselling paperback & hardback novels, and has a novel way of maximising shelf space, by putting novels by prolific authors into boxes that protrude outward from the shelves, as shown in the photo. Unlike the other indie shops ACHUKA has visited so far in this series, Camden Lock Books hosts events only occasionally. But Burley does show me the folding chairs hanging from hooks in the ceiling that can be used if the occasion arises, as it indeed it does from time to time (recent guests for signings and readings include John Hegley, Phill Jupitus, Iain Sinclair and Chris Salewicz), it’s just that it is not as vital an element of the shop’s business as it is for other shops in this series. Jason has a special interest in miniature books, a significant collection of which can be found in the shop near to the counter. There’s a blog post about them here: http://blog.camdenlockbooks.com/?p=1202The shop has a good stock of Moleskine notebooks and is one of the few places that you can buy jazz CDs on the ECM label. A narrow backroom is filled with a rich selection of Art and Photography titles, the latter partly the result of the keen interest of a previous assistant bookseller, who has since left to do a PhD at SOAS studying photography in South Africa. On the afternoon of my visit there were nearly always two or three people in the shop, most of whom made a purchase, and this was described as the lull between the two busy periods, early and late. 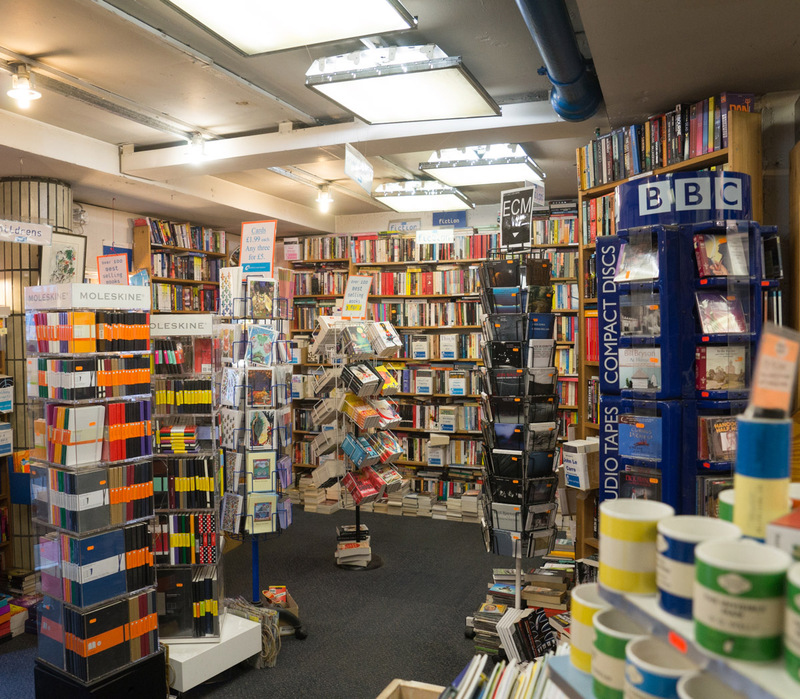 Because of the shop’s unique position, its opening hours are 8.30 – 7pm Monday through to Friday, with evenings and early mornings being the ‘rush’ periods, and in contrast to other bookshops, weekends are of little significance. The shop is only open on Saturdayafternoons. 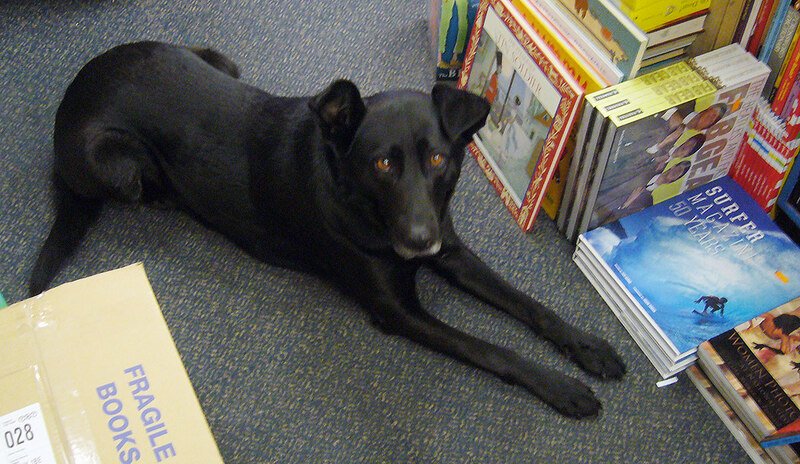 Every Thursday, an unpaid intern called Rosie helps out in the shop, greeting and befriending. She is very popular with customers who have come to expect her to be there each Thursday. Rosie, a black labrador mixed mongrel trots the three miles from home to shop alongside Jason on his bike. 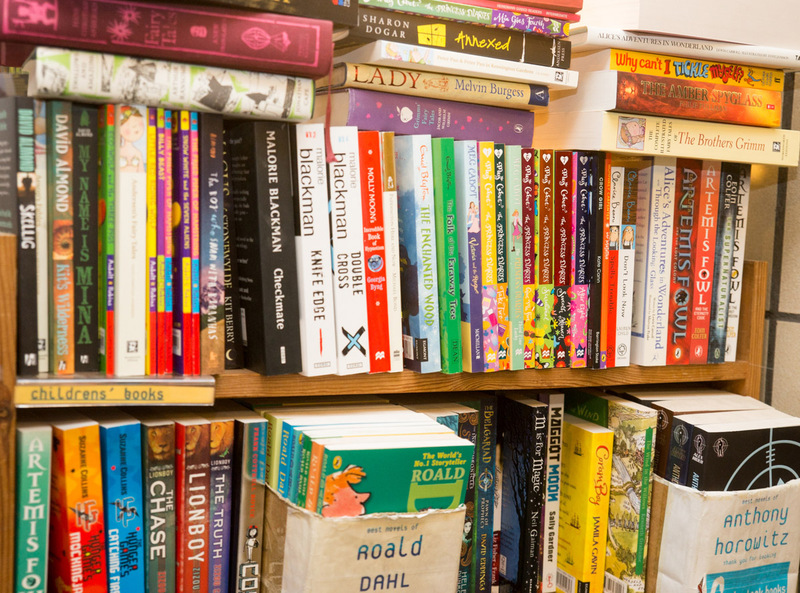 The shop was recently chosen as the first-ever winner of a new monthly award, the Caboodle Award, a prize set up by National Book Tokens – which runs Caboodle – to honour the store which has demonstrated the best use of the Caboodle scheme in that month. When you’re next near Silicon Roundabout make sure you pay a visit. Enjoyed your article. Look forward to welcoming you back to the bookshop when you’re next passingl.